CLAMP, Production I.G, and artist Ryo Haduki's Blood-C prequel series concludes! 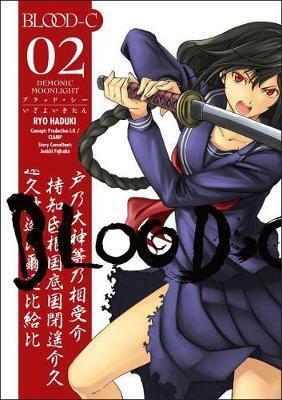 Blood-C: Demonic Moonlight is a lore-rich prequel to the creature-filled Blood-C universe. Beginning in Japan in 1946, an American military investigator is sent to Yokohama Base to research a number of bizarre deaths. He encounters a mysterious, sword-wielding stranger, and a chain of disturbing supernatural events shows how vampire slayer Saya was imprisoned by Fumito and reveals the original connection between Saya and her shape-changing "father"!